Fall always brings such beautiful artwork. Especially with the leaves changing colors. 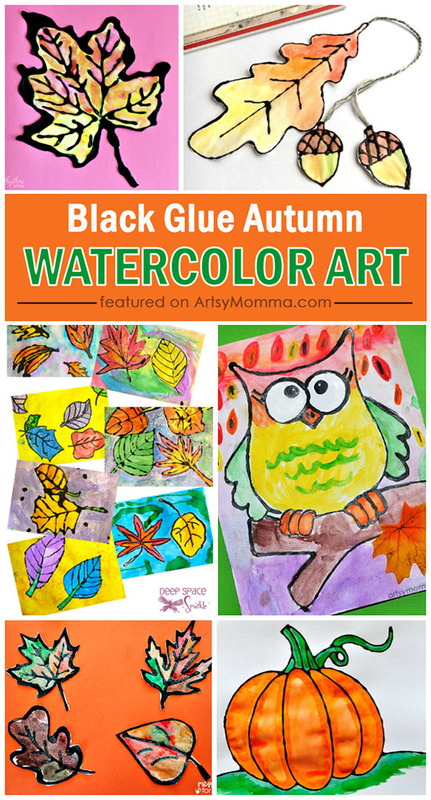 Celebrate the Autumn Equinox with these gorgeous Fall themed watercolor black glue resist art projects for kids. Any age can enjoy this fun painting technique as it’s easily adaptable. *Many of the art projects featured below have printable templates you can use with your own projects. Up first is tree and leaf art. I love that the finished projects all have different results, that’s the fun of painting with watercolors. Many animals are associated with the autumn season, usually forest and woodland animals. Other things associated with Fall are apples, pumpkins, and corn. Click the photos to find out more about each book. *These are Amazon affiliate links which you can read more about here.